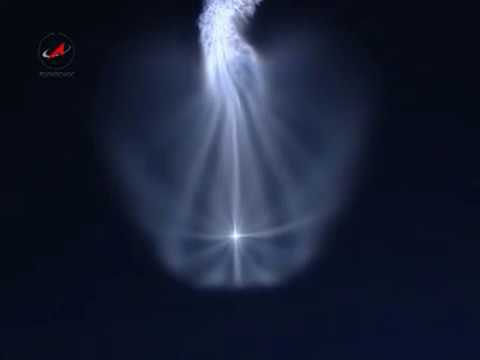 UFO Sighting of unusual cloaked craft with missile like trail over Kazakstan and Russia, 2011 video. This video was posted in Taiwan on March 9, 2011 by an anonymous user. There is little info to go by except what the person has written in Chinese and English. I have seen such videos before. The first was over China and the second and third was over Russia. I will post the videos below for you to compare them. In my opinion as a UFOlogist (SCW) I do believe that the craft we are looking at in the above video is not a missile being chase by a UFO, but is actually the back exhaust of a UFO while the front part of the craft remains cloaked except for the sparkling corners that look like directional thrusters. Of course this could be some Russian or American secret project that takes alien technology from UFO crashes and integrates it into modern methods of use for the military, but I who is to say?